In a painstaking rescue mission, the exhausted miners were hoisted up one by one after temporary power pylons were installed. None sustained major injuries. 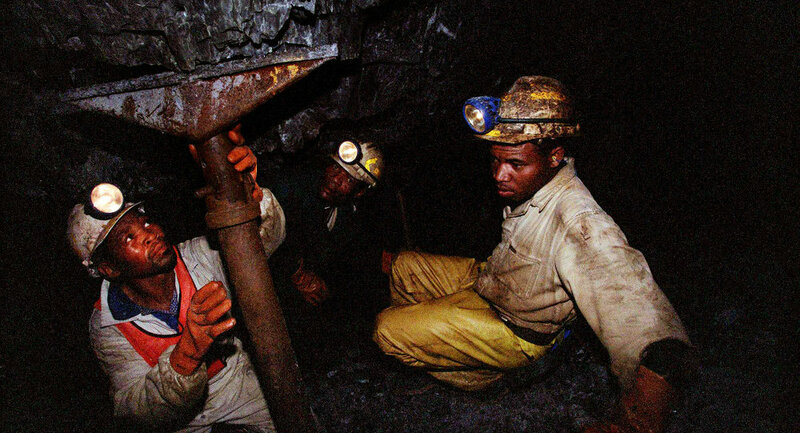 Although the company had said the more than 1,000 mineworkers stuck underground were never in danger, the incident highlights safety concerns in an industry that is home to the world’s deepest mines, with workers at some sites operating at depths of up to 4 km. “Everyone is fine, there were minor injuries and a bit of dehydration but that’s all,” company spokesman James Wellsted said. Some workers were rescued on Thursday after emergency power supply from backup generators, but damage to the winder control systems and generators at one of the Beatrix shafts caused by a power surge forced 955 employees to remain underground. They were hoisted to surface on Friday after temporary power line pylons were installed by Sibanye-Stillwater and Eskom, the country’s power utility. The effort to get the mineworkers to the surface was slow, as they were coming up one at a time, union officials said. “We can also confirm that all workers did not sustain any injuries ... they are just exhausted,” spokesperson Livhuwani Mammburu, the National Union of Mineworkers (NUM) said. The parliamentary committee on mineral resources asked the Department of Mineral Resources (DMR) to explain why its safety inspectors failed to detect that the Beatrix mine did not have a reliable backup power system. Officials at the DMR were not available to comment. By November, the 2017 death toll of 76 in South Africa’s mines had already surpassed the 2016 figure of 73, ending nine straight years of falling fatalities and raising red flags for the industry. The trend reversal is likely to reignite investor concern over mine safety and could prompt regulators to step up shaft inspections, which often result in costly production stoppages.